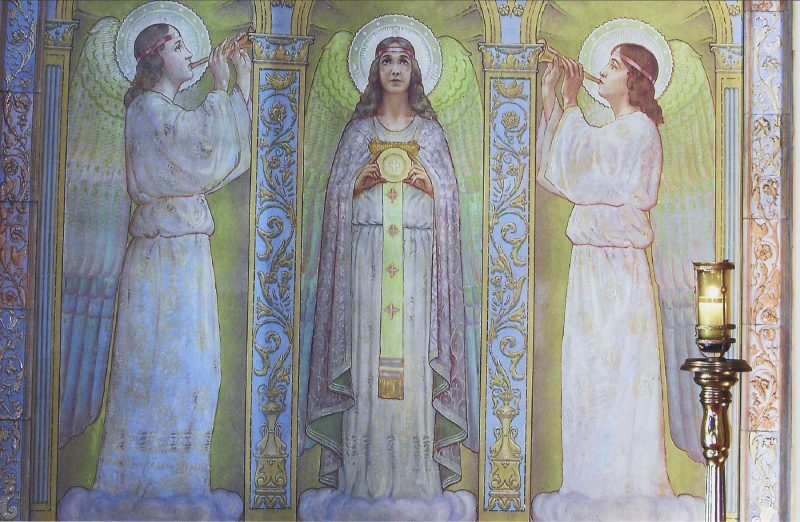 Angels in Vincent Mondo’s murals on either side of the Sanctuary express attitudes one should have toward the Eucharist, including praise, thanksgiving, and petition — attitudes beautifully expressed in Psalm 103. 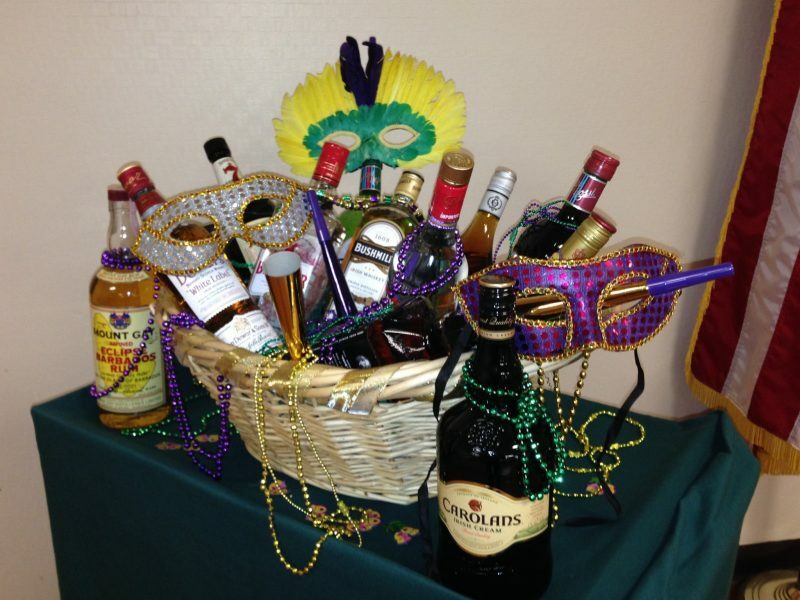 March 3 Mardi Gras Raffle ~ The Sodality’s Mardi Gras Raffle will take place next Sunday, March 3, at a special “Fat Sunday” coffee hour in St. Charles Hall immediately following Mass. The first-prize Basket of Cheer is valued at $225; second and third prizes are gift cards from Wegmans ($50) and Dash’s ($25). If you bring raffle returns next weekend, please DO NOT place them in the collection basket. Instead, take them with you to coffee hour or ask someone who is attending to deposit them for you. Extra tickets will be available at coffee hour for a donation of only $1.00 each or 6 for $5.00. We are grateful to Wegmans (Amherst St.) and Dash’s (Hertel Ave.) for their donations and to Bill and Gwen Warren for providing the Basket of Cheer. Instruments of Peace ~ Extra! Extra! The Blessed Trinity Choir is beginning to prepare for Easter as we move into the season of Lent and we could use your voice! We understand that a weekly church choir commitment is difficult for many to fulfill – and that is why we have extras for Christmas and Easter. An extra is a person who agrees to sing for special occasions – like Easter – and participates in rehearsals leading up to the Liturgy. Choir practice is on Tuesday evenings in St. Charles Hall from 7:00 to 8:30 p.m. When we have extras, we rehearse for the special occasion first and then for the regular liturgy. That means extras are usually dismissed by 8:00 at the latest. We welcome everyone in the BT Choir – an ability to read music is not a requirement – just a desire to glorify our Lord in song. “Choral music is not one of life’s frills. It’s something that goes to the very heart of our humanity, our sense of community, and our souls. You express when you sing, your soul in song. And when you get together with a group of other singers, it becomes more than the sum of the parts. All of those people are pouring out their hearts and souls in perfect harmony.” – John Rutter. 4th Annual Catholic Women’s Conference, “Nourished by Christ,” with speakers: Sonja Corbitt and Rev. David Richards. Saturday March 9 (8am – 12pm) at St. Mary’s High School (142 Laverack Avenue in Lancaster). Registration starts at 7:30am. Mass, Continental Breakfast; Adoration. 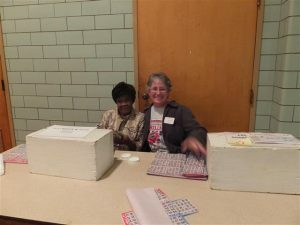 Visit catholicwomenofbuffalo.org or call 716-222-0622. 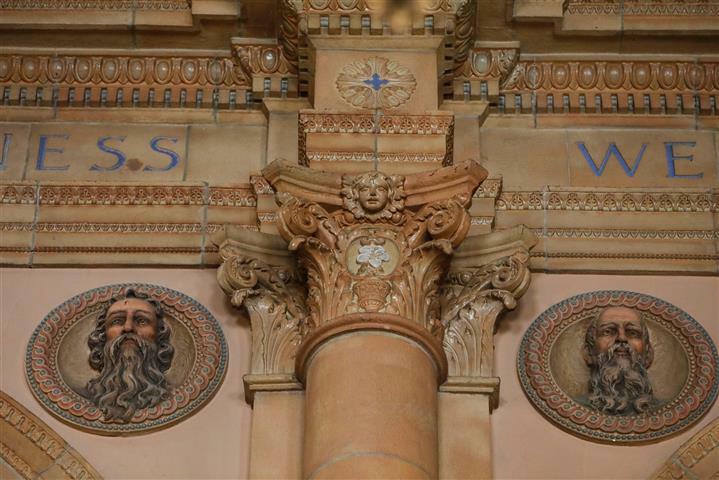 Taste of Italy Spaghetti Dinner, Sunday March 10, 12-4pm, sponsored by the Holy Name Society of Queen of Angels Parish (Electric Avenue and Warsaw Street in Lackawanna). The full course “all you can eat pasta” dinner includes homemade dessert and beverage. There will be bell jar tickets and a split club raffle to add to the fun and festivities. Tickets will be pre-sale only and may be purchased by calling the rectory at 716-826-0880.